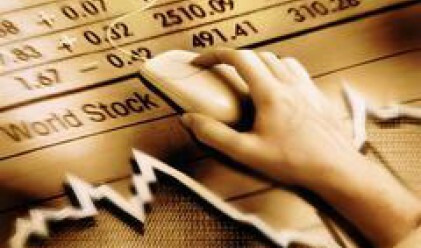 The stocks of two companies accounted for 81.5% of the overall trading turnover of the Bulgarian Stock Exchange (BSE) today. Agricultural Land Opportunity Fund Mel Invest REIT (2,215,922 shares) and Kauchuk (264,399 shares) registered the highest trading turnovers on the day. Most of the shares in the REIT were transferred in four deals. As a result, the stock of the company appreciated by 2.5% to an average of 1.23 leva per share. All 264,399 shares traded in Kauchuk today changed hands in a single deal. The shares account for 28% of the capital of the company. Kauchuk's major shareholders prior to the transaction included Mura OOD (41.11%), Chimimport (37.5%) and Kauchuk-97 (13.51%), Profit.bg data show. The deal sent Kauchuk's stock price 3.96% lower to an average of 53.35 leva per share. Three of BSE's four indexes ended today's session with losses. The SOFIX blue-chip index slipped by 1.42% to 1,244.53 points, while the broader BG40 index skidded 2.53% lower to 354.07 points. The BGTR30 index of best performers in total return shed 1.76% of its value closing at 816.54 points. The BGREIT closed 0.8% higher at 96.25 points to become the only advancer among BSE's indexes today. BSE's trading turnover amounted to 20.65 mln leva today. If the turnover on the positions of Agricultural Land Opportunity Fund Mel Invest and Kauchuk is not to be included, the remaining 132 companies traded on the day generated a mere 3.82 mln leva turnover. The number of gainers stood at 53, while the value of the block deals and other registered trades totaled 780,000 leva. Sparky Eltos' rally continued today. The stock of the company added 5.99% to its value advancing to an average of 13.62 leva per share. The stock price of the company started to pick up on March 18 and has risen by 27% so far. The banks listed on BSE also sparked investor interest today. A total of 17,240 shares on Central Cooperative Bank changed hands on the day, while the stock appreciated by 4.78% to an average of 6.14 leva per share. Corporate Commercial Bank closed 0.9% up at an average of 87.28 leva per share, while First Investment Bank's stock appreciated by 1.28% to an average of 7.92 leva per share. Trade on the position of Zarneni Hrani Bulgaria remained active today. A total of 29,392 shares in the company were traded, raising the price of the stock by 0.79% to an average of 2.55 leva per share. Some of today's decliners included Chimimport (-0.69% to 8.63 leva per share), Billboard (-1.08% to 9.14 leva per share), Eurohold Bulgaria (-1.89% to 5.19 leva per share), Agria Group Holding (-3.59% to 6.72 leva per share), Sopharma (-4.15% to 6.23 leva per share). Sopharma has reached an agreement to acquire 90% of capital of Serbian Ivanchich and sons, it emerged earlier today. The construction of a new medical plant is expected to start by 2009. The Belgrade company currently has 21 products on its production list. The investment will cost around 8 mln euros.